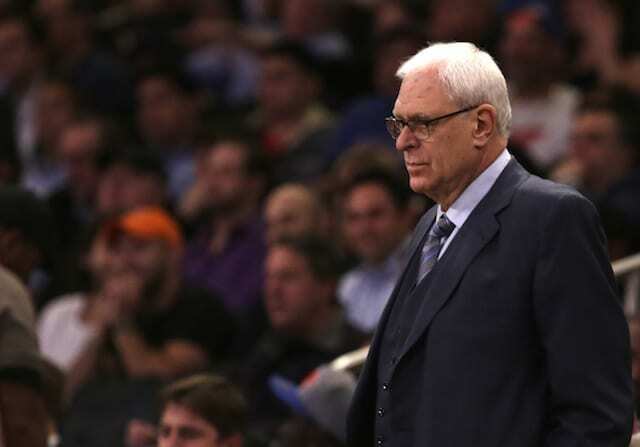 Can Phil Jackson Come Back And Save These Lakers? It doesn’t feel like all that long ago that Phil Jackson was leading the Los Angeles Lakers to the NBA’s promised land — yet so much has changed since those glory days. The Chris Paul veto. The Steve Nash/DwightHoward trades. Dr. Buss. The tectonic plate that the Lakers rest on is forever slipping and sliding, with each year bringing new tremors that rearrange the landscape. In this environment, it’s incredible that the spectre of Jackson still looms so large. It has been nearly five years now, but the echoes of his success haven’t faded away. To this day, the STAPLES Center is prone to breaking into chants of “We Want Phil,” as desperate Lakers fans await the return of their once and future king. Unfortunately, as the years have gone by, Jackson has drifted farther and farther from Los Angeles. His meandering drives to Flathead Lake in Montana have given way to flights to New York, where the Zen-master has hung up his whistle and clipboard in exchange for a position as President of the New York Knicks. It’s more than just the miles of separation though. Phil was hurt by the hiring of Mike D’Antoni to lead the ill-fated “Now This Is Going To Be Fun” squad. 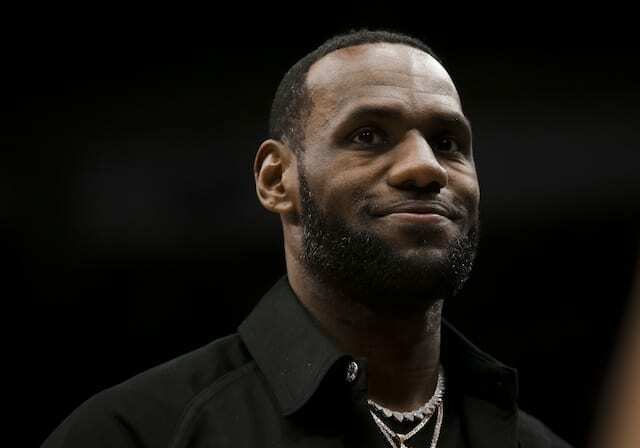 The team later asserted that Jackson wasn’t needed in the front office either, as GM Mitch Kupchak and Executive VP of Basketball Operations Jim Buss had everything covered. He may be first in the hearts and minds of Lakers fans, but it was clear that Phil was the odd man out in the organization. If anything, Phil Jackson and the Lakers could hardly be farther apart today, yet all it took was a passing rumor or two to reignite the embers of hope. Woj’s surprising claim, combined with Stephen A. Smith’s assertion that Lakers President Jeanie will clean house in the front office this summer, has given new life to the notion that Phil may once again rule the city. However, these reports have to be taken with a grain — or possibly a mountain — of salt. Jackson hasn’t indicated that he is displeased with his life in New York, and while the Knicks are currently struggling, his selection of breakout star Kristaps Porzingis in the draft has gone a long way towards placating an anxious Big Apple fan base. Firing head coach — and former Laker — Derek Fisher wasn’t easy, but Jackson has another one of his proteges taking the helm in Kurt Rambis, and is hoping to prove that the triangle offense is as deadly now as it was in the past. The Lakers, meanwhile, are limping along to the worst record in team history. Kobe Bryant is retiring at the end of the season, and none of the young players that the team has acquired have excelled to the extent that Porzingis has. It’s true that Bryant is irreplaceable, but the Lakers need a focal point to build around, and exactly who that will be isn’t clear just yet. While the massive amount of cap space the Lakers will have this summer certainly holds some appeal, there is still a lot of building to do in Los Angeles. Of course, Jackson’s relationship with Jeanie is a major draw, but it also complicates matters. Jackson’s coaching days are behind him, and the Lakers primary front office positions are still occupied by long-serving and beloved Mitch Kupchak and the reviled Jim Buss, who happens to be Jeanie’s brother. The reality of bringing Jackson back into the fold is that it would require Jeanie to fire both Jim and Mitch, or at the very least one of the two. Some would argue that, as the primary architects of this year’s cringe-worthy roster, both men should indeed be shown the door. However, Jim’s self-imposed deadline to return the team to contender status is swiftly approaching in the summer of 2017, when letting him go will be a more natural move. As much as he may be vilified by Lakers fans, jettisoning Jim a year early like the Smith report suggests would be insult to injury. Capping that off by replacing him with his soon-to-be brother-in-law would risk pushing the Buss family into the realm of Kardashian-level drama, and that’s not a place anyone wants to be. Furthermore, turnover at the top isn’t the best look for a team that needs to shed an image of instability, particularly when they are heading into one of the most important off-seasons in franchise history. Free agents want to win and won’t sign on with a team that doesn’t at least appear to be cohesive at the top. No, if Phil Jackson is to return to Los Angeles, this summer isn’t the right time for it. There are simply too many hurdles to clear, even without factoring in whether or not the Knicks would allow him to leave. There is no question that the current regime hasn’t done much to win over the nervous Lakers fan base, but forcing the issue now would create more problems than solutions. However, if the Lakers are indeed drowning again next year, then Jackson’s return will be hailed as a major coup. His name will forever be associated with winning basketball, and 13 championship rings (11 as a coach, two as a player) are a powerful weapon to woo free agents with. 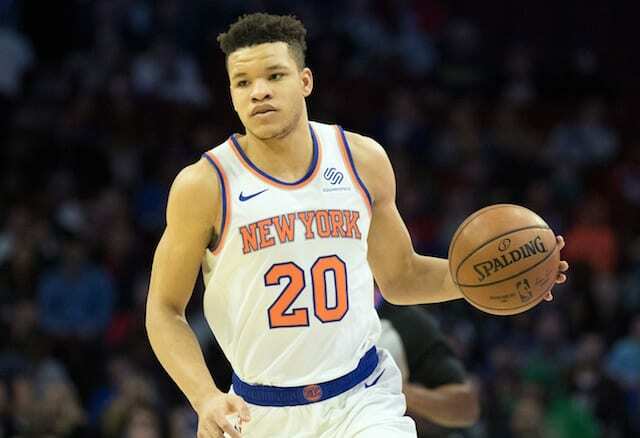 Jackson has also made some savvy moves in his efforts to rebuild the Knicks, and gained the experience that would allow him to hit the ground running in Los Angeles. Of course, the elephant in the room is that even the return of the great Phil Jackson wouldn’t magically fix everything that is wrong with the Lakers. He is still married to the triangle offense and expects his coaches to run his system — for better or worse. He sticks with the guys that he knows well and is comfortable with, which means that there would be little chance of a young mind with non-triangle leanings… like say, Luke Walton… leading the team on Phil’s watch. In a league built on change and fresh ideas, Jackson would do little to dissuade those who claim that the Lakers are living in the past. Still, Jackson returning to the fold to sit on the Lakers throne alongside Jeanie Buss would be quite the redemption story. If nothing else, it would usher in a period of optimism, and would give the Lakers free agent pitches that little extra something that they seem to have lost over the last few tumultuous years. It isn’t likely to happen this summer, but the twisted tale of Phil Jackson and the Lakers just may have a few chapters left.